Business enterprises across Northwest Indiana have trusted Reling for over 50 years for their HVAC (heating, ventilation, air conditioning) and refrigeration needs. And Reling has responded with nothing but quality because we understand the importance of equipment when running a business. We know that the wrong refrigerator or the poorly installed air conditioner in a storehouse can lead to not only an inconvenience but often to a disaster. That is why we work with some of the best brands out there – so that we can offer you only the right equipment and services. Because helping your business is our business. www.tecumseh.com Tecumseh is a world leader in commercial refrigeration, central home air conditioning, automotive air conditioning compressors and more. Tecumseh’s quality has earned them the highest quality rating from major refrigeration and air conditioning manufacturers. www.scotsman-ice.com Scotsman is the world’s leading ice machine manufacturer. For two consecutive years, Scotsman Ice Systems was named Partner of the Year by the ENERGY STAR® program. With more than 35 ENERGY STAR qualified models available, Scotsman Prodigy® is the best there is. 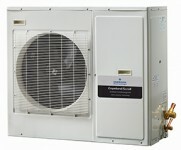 www.norlake.com Nor-Lake has been a consistent leader in refrigeration innovation and design for years. With its dedication to service and high-quality product line, Nor-Lake has earned one of the most respected names in the refrigeration industry. 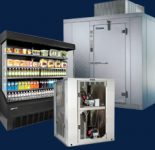 A foodservice industry supplier since 1938, Master-Bilt offers a broad spectrum of display coolers, ice cream freezers, walk-in coolers and freezers, refrigerated warehouses & refrigeration systems. Manitowoc Cranes and Manitowoc Foodservice are two global growth businesses with over 100 manufacturing, service, or distribution facilities in 20 countries. Heatcraft Refrigeration Products is the long-standing leader in the world of commercial refrigeration, providing climate-control solutions to customers in more than 70 countries. Emerson Climate Technologies is a leading provider of heating, ventilation, air conditioning, and refrigeration solutions for residential, industrial, and commercial applications. Heatcraft Worldwide Refrigeration provides climate-control solutions for commercial refrigeration and industrial applications in more than 70 countries. 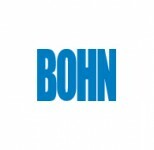 We manufacture unit coolers, condensers, compressorized racks, condensing units, refrigeration systems and supermarket display cases through six market-leading brands, including Bohn, Larkin, Climate Control, Chandler, Kysor/Warren and InterLink. Weil-McLain is a leading designer, manufacturer and marketer of gas and oil-fired hot water and steam boilers for space heating in residential, commercial and institutional buildings.